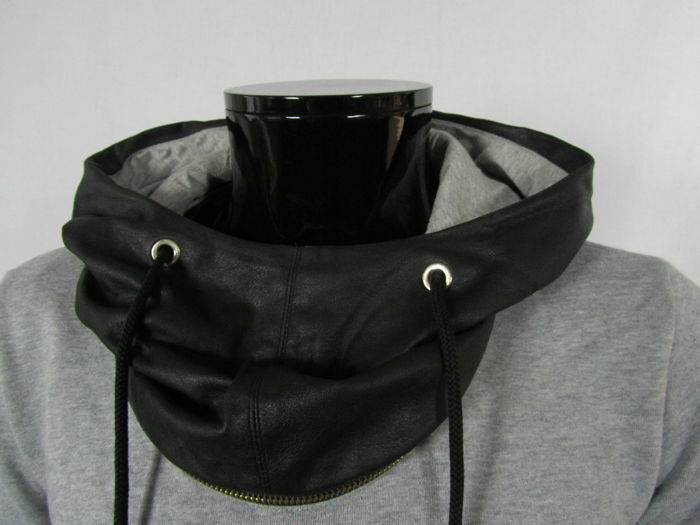 Rugged pull-over sweater by Frankie Morello Milan. 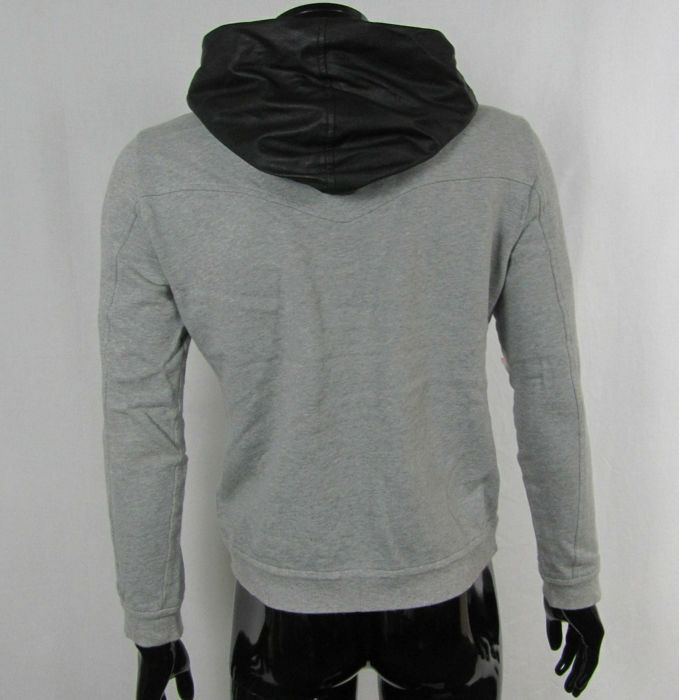 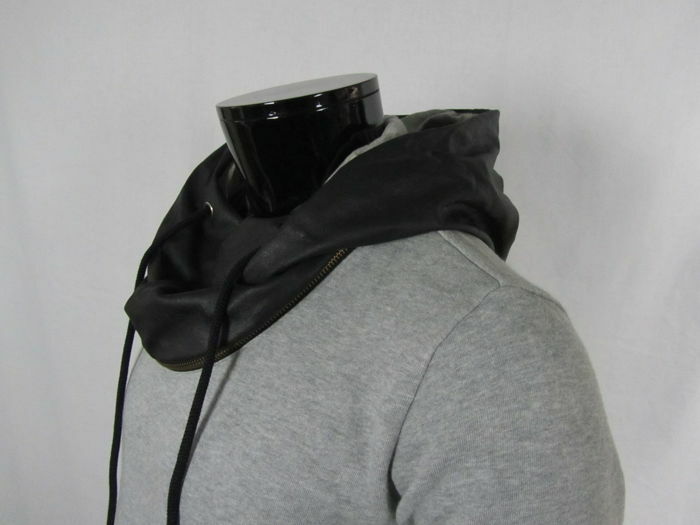 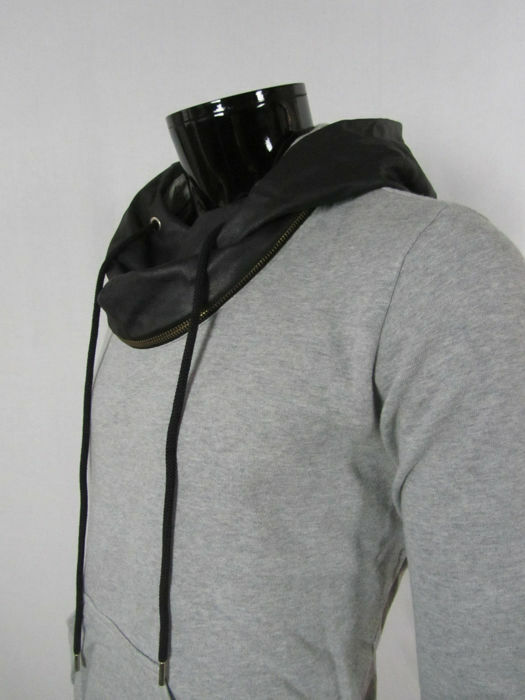 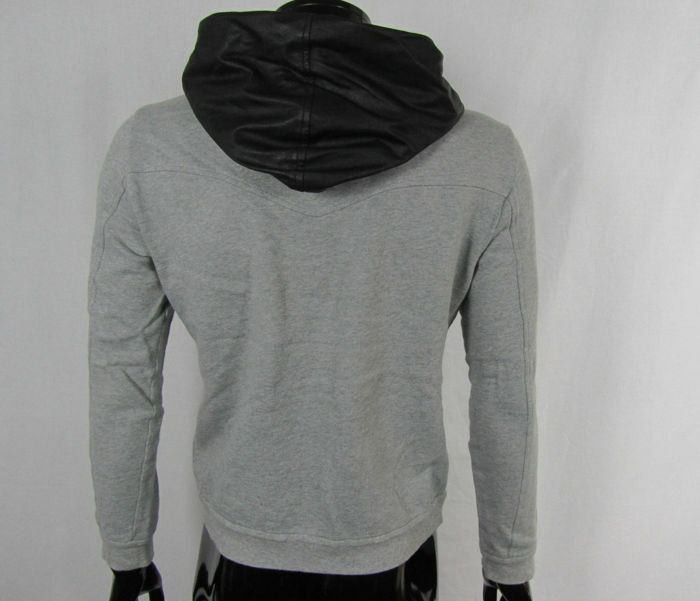 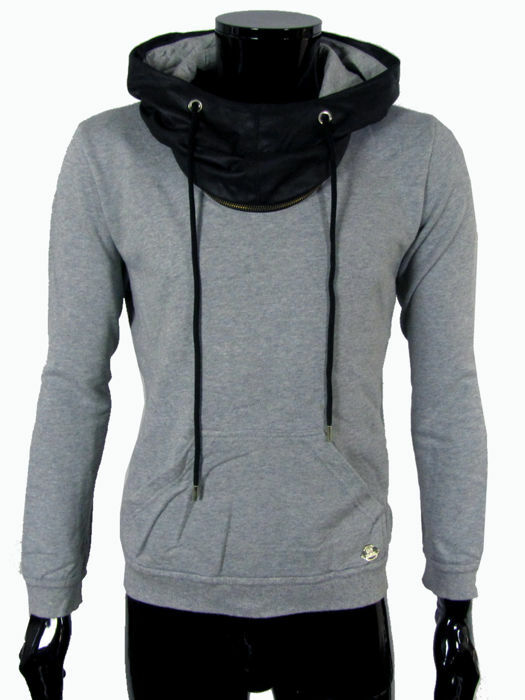 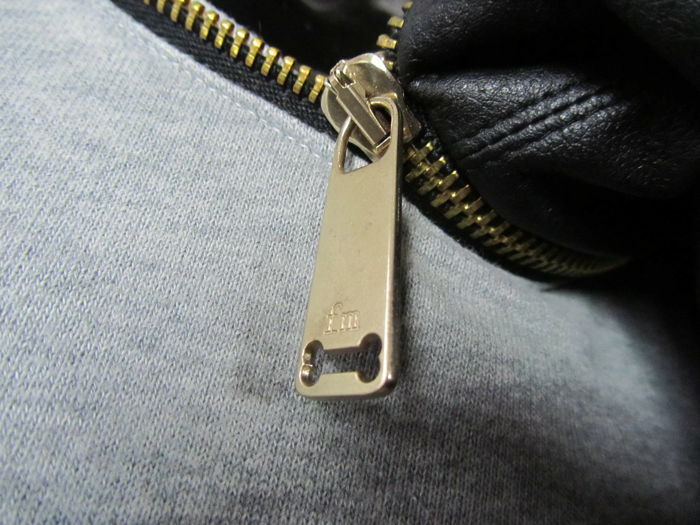 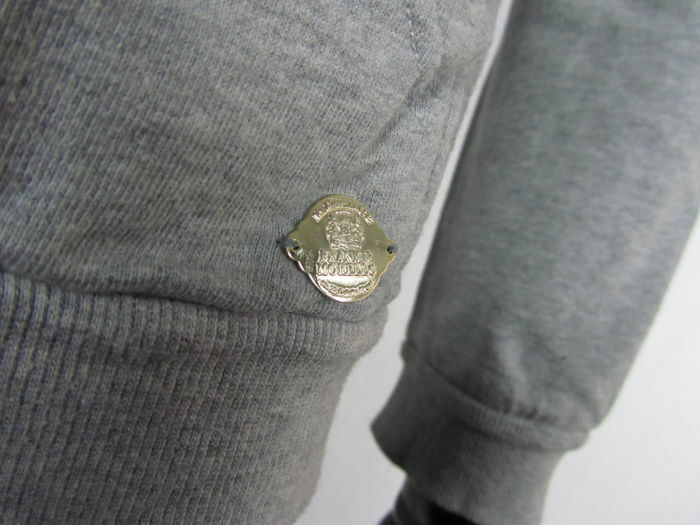 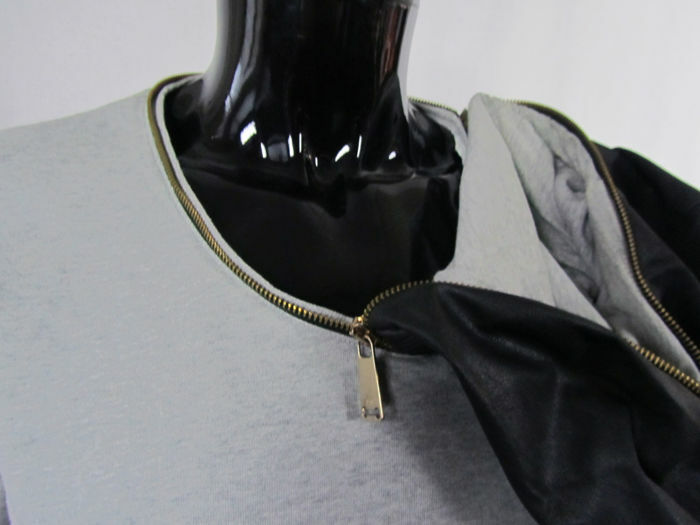 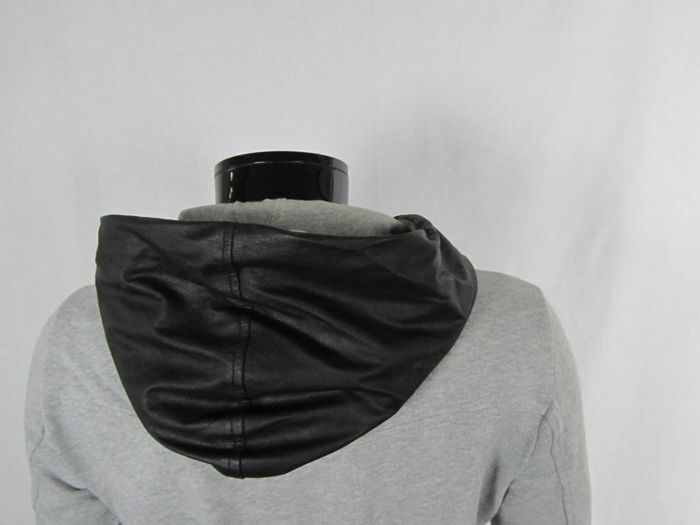 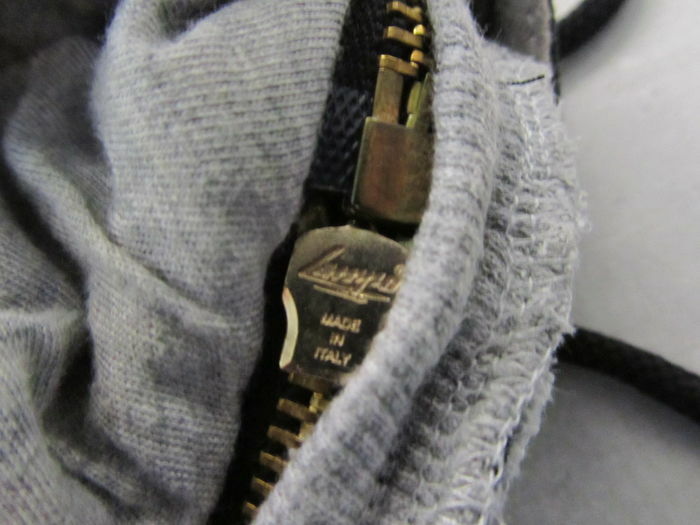 With a faux leather zip-off hood that continues on to the neck. 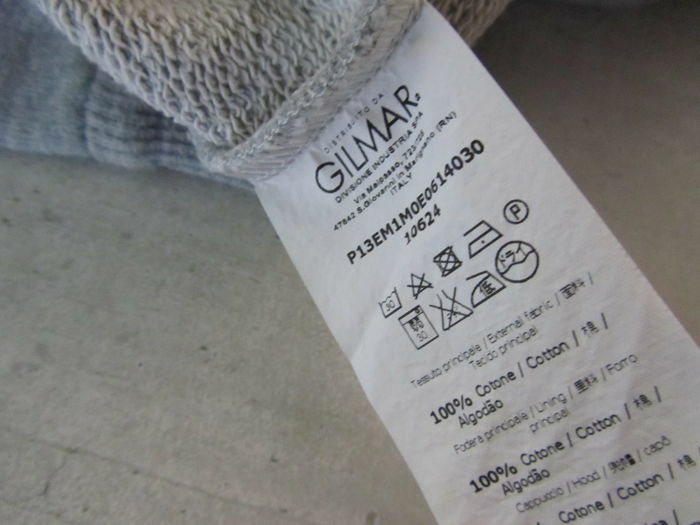 Will be shipped well-packaged and insured, with a track and trace code.